No matter how hard your kids try to brush, there will always be germs left behind. That is why LISTERINE® has introduced LISTERINE® SMART RINSE. 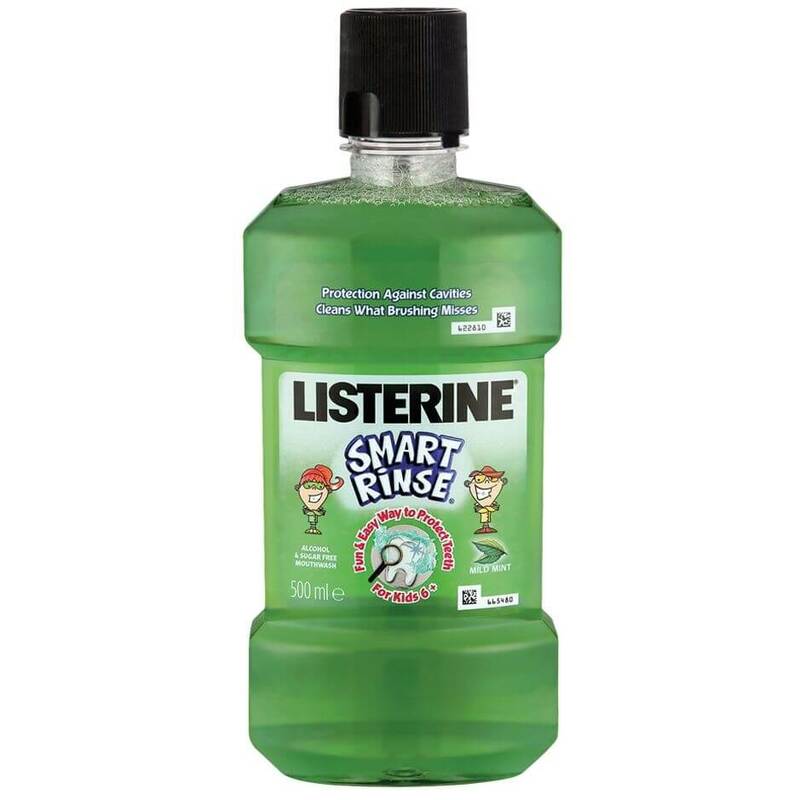 LISTERINE® SMART RINSE contains fluoride which helps strengthen and reduce cavities more than brushing alone. Goes around the whole mouth, reaching teeth, gums and tongue attracting and tinting the bits brushing misses, showing your child the proof in the sink. How should LISTERINE® SMART RINSE® MILD MINT MOUTHWASH be used?